Twenty five skilled Vietnamese farmers will begin a two-year stint in Sierra Leone this month to teach farmers of the small African nation about growing high-yielding varieties of rice. Led by Dr. Vo Tong Xuan, president of An Giang University, the team includes five specialized rice growers and 20 farmers who are also well versed in rice handling machinery and building irrigational works. Each farmer will receive a monthly salary of US$350 to US$400 and have all his living expenses paid as well as his return air tickets, including for the Lunar New Year holiday. The cost of the program is being borne by several Vietnamese companies that want to introduce Vietnam’s rice and cultivation techniques to the world. Initially the team will cultivate 100 hectares of rice, with each Vietnamese member instructing four local farmers. Sierra Leone is a small country in West Africa with a population estimated at slightly over five million. Of the 600,000 tons of rice they consume in a year, 60 percent is imported. 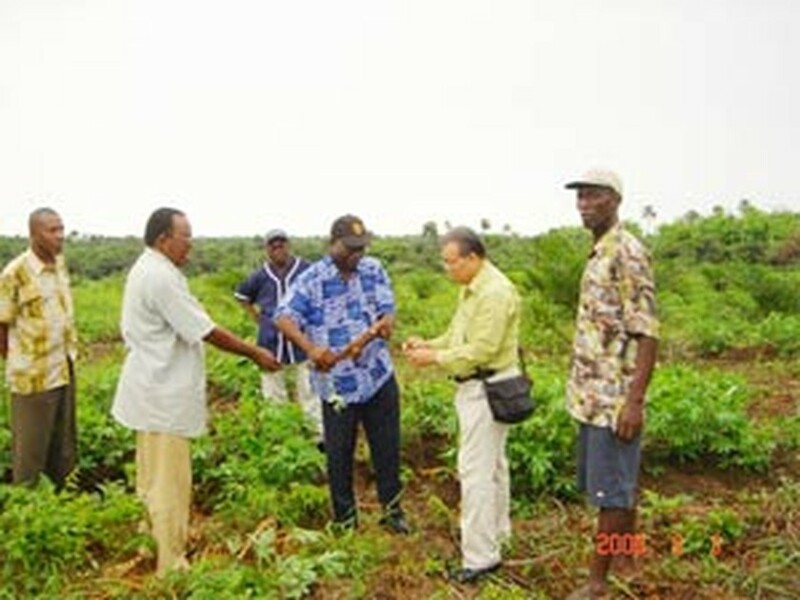 Team leader Dr. Xuan says Sierra Leone’s farmers know little about high-yielding rice cultivation. They mostly practice extensive farming, with each crop lasting for six months. Despite having six rivers flowing across the country, Sierra Leone has next to no irrigation so its rice growers rely pretty well on Mother Nature alone.